The second video in the on going SonicScoop series documenting the making of our Pinkerton tribute album is here for your viewing pleasure. Find out why Jenny decided to pick “Getchoo” and catch a sneak peek of her and the band performing the song. Enjoy! News :: Pinkerton Tribute Announced! We’re very excited to announce our next compilation over here at Engine Room, a tribute to one of the best under appreciated, and nowadays there are some who would say over appreciated, records, but it’s one of my personal favorites, Weezer’s Pinkerton. Each of the ten songs that make up the record have been covered in their own unique way by ten different artists. Most of the recording was done at our parent company Engine Room Audio‘s studio in Manhattan, and the great folks over at SonicScoop came in and documented the process for us. The first video is posted below featuring Rob Cantor of Tally Hall doing an amazing rendition of “Why Bother?”. Please check it out and check back soon for more videos, next up will be Jenny Owen Youngs and her band rockin’ out on “Getchoo”. 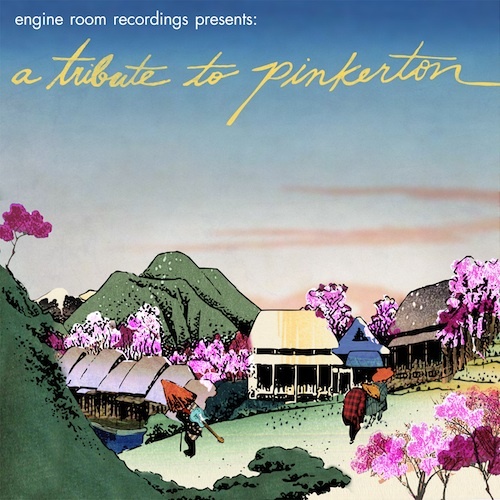 And look for the worldwide release of our Pinkerton Tribute on September 18th.